For me, 2014’s Blue Dialect was one of those releases that, merely by virtue of the players involved, absolutely insisted on being heard. In particular, two names grabbed my attention: Tyshawn Sorey (on percussion) and Matt Mitchell (on piano). Both of these musicians have carved out an important place for themselves in the world of contemporary jazz - Sorey has achieved this by way of increasingly complex investigations of various modes of expression, from relatively straight-ahead jazz to contemporary classical and, in the case of pieces like “Permutations for Solo Piano,” stark minimalism. While perhaps best known for his astounding work with Tim Berne, Mitchell too has gone on to prove himself as a one-of-a-kind compositional talent, most recently brewing up an mesmerizing, electronics-infused stew on last year’s A Pouting Grimace. Admittedly, though, up until hearing the stunning Blue Dialect, Mario Pavone’s music had eluded me. A few of his works have been glowingly reviewed on the Free Jazz Blog, but I just, well, never got around to hearing them. That’s all in the past. Having spent the last few weeks familiarizing myself with Pavone’s output, I can now count myself as a fan. Chrome is another fantastic entry in Pavone’s discography, and it offers yet more proof that he is one of the finest composers/bandleaders around. Structurally speaking, many of the pieces on Chrome seem fairly straightforward and traditional; for instance, there’s often a head to which the players can return, an anchor that keeps some of their flightier impulses at bay. The music here is not so much free, then, as it is intoxicatingly loose. “Cobalt,” for instance, finds Matt Mitchell riding lightly on the dense and robust waves stirred up by Sorey and Pavone. Rather than attempt to match Mitchell’s dizzying capers, Pavone prefers to punctuate and undergird them - that is, until he too engages in his own fascinating elaboration of the main melody. Throughout all of this, Sorey is relentless. 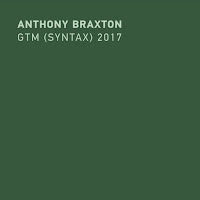 While some of his other projects find him exploring the intersections of noise and emptiness, here he seems eager to be as densely rhythmic as possible - the result is a giddy sense of movement that injects even the more abstract moments with a joyful, swinging rush. 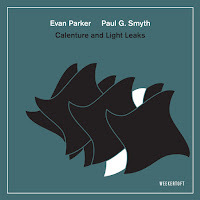 The successfulness of this combination - Pavone’s steadfast approach, Mitchell’s light-footed explorations, and Sorey’s knotty, yet danceable, rhythms - is perhaps largely due to the compositions themselves. 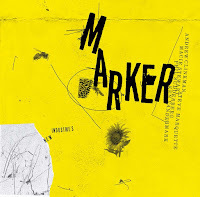 In pieces like “Ellipse” and “Beige,” extraneous matter is boiled away and we’re left with bare-bones repetitions (often courtesy of Pavone) and, as things develop, slightly mutated restatements of the theme. Within that space, however, the players explore their own avenues of interest, whether those explorations involve unrestrained romps (as is often the case with Mitchell) or focused outpourings of energy (Sorey). It’s a wonderful formula that the group wisely sticks to on most of the tracks. Not every piece is a high-octane explosion, of course. The aforementioned “Beige” moves at a decidedly relaxed pace, the various elements unfolding in languid, outward-expanding ripples. 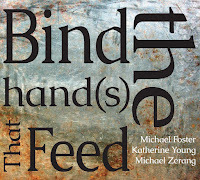 Instead of the rhythmic bursts he releases on some of the other pieces, Sorey conjures up airy exhalations, each cymbal crash landing like a sign on the dust-blown terrain that Mitchell and Pavone sketch out. The brief and surprisingly tender “Bley” is an elegy for its namesake, and one that likely has a particular resonance for Pavone - the two worked together on 2007’s incredible Trio Arc (with drummer Matt Wilson). Coming as it does between between the breakneck “Conic” and the jagged rhythmic phrasings of the title track, it very much feels like a “moment of silence” for the late, great pianist. 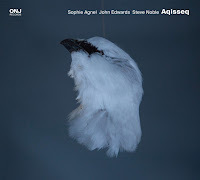 The album concludes with “Continuing,” a piece which, fittingly, continues on with the modus operandi found on the rest of the album: Pavone’s supple bass-work, Mitchell’s exploratory cascades, and Sorey’s limber and responsive rhythmic flurries. For those, like me, who have overlooked Pavone’s past work, Chrome is as good a chance as any to get your feet wet. If you like what you hear, it’s highly recommended that you move on to this trio’s other release, Blue Dialect . 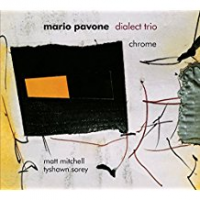 Pavone, Mitchell, and Sorey are absolutely electric together, and their combination of influences and styles makes for some of the most inviting, yet adventurous, jazz today. Pavone's work has suffered from his association with the mercurial Thomas Chapin and his first release on New World records very much showed that influence. After Chapin's death it was hard to dispassionately evaluate and appreciate his work without that distinctive voice; it just seemed on a lower tier. He's obviously a musician of substance because Sorey and Mitchell wouldn't bother otherwise so I look forward to this and the earlier release of the trio.